Gilleard Dental Marketing successfully markets cosmetic dentistry. Cosmetic dentistry marketing requires special marketing expertise because it is based on interesting a patient in improving their looks and spending discretionary income rather than the necessity to improve their oral health. We have found the most successful way to market cosmetic dentistry is through our custom magazines distributed where prospective cosmetic patients are most likely to be. 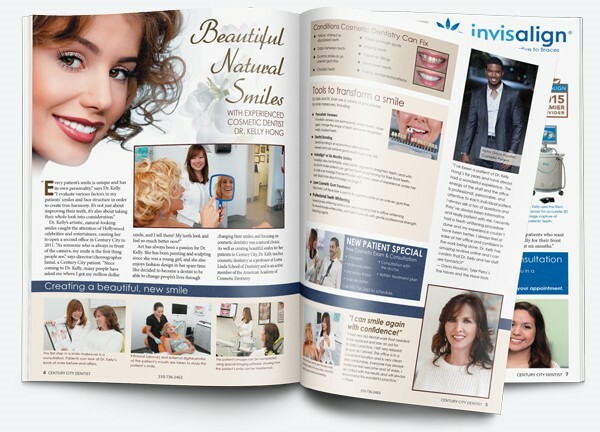 Our unique, high-quality magazines showcase your cosmetic services and the patients who have benefit from them. Our approach is completely customized to the individual dentist. Each magazine is individually designed and written to market the strengths of the practice, using hot buttons, to appeal to prospective patients in the dentist’s particular area. We offer a complimentary marketing consultation to discuss your marketing needs. Click here to schedule online or call 855‑486‑2410.